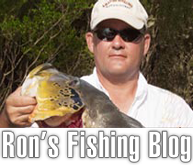 This week let’s talk about Fall fishing for black bass in the southern part of the USA. Fall is my favorite time of the year to fish for bass. The weather is a lot cooler and as a rule there is not a lot of wind or rain. Most of the lakes don’t have a lot of fishermen as most are in a hunting mode starting with dove season, teal season, followed by archery season for deer, followed by gun season for deer, and of course my favorite pastime of quail hunting. Fishing public waters in September to the middle of November is like having your own private lake. I also like the Fall because the bass bite almost every day until the cold fronts start to blow down from the North. As the water temps begin to cool down, the blacks begin to move from their summer haunts in deep water back to shallow water where they bite really good. The bass remind me of bears in the Fall as they feed a lot and very often to get ready for the upcoming winter and hibernation for several months. I prefer to fish the creeks in the Fall and I will use a spinner bait along the banks of the creek to locate the bass. I really enjoy fishing Sam Rayburn Lake in the Fall going up the Angelina River and then fishing the feeder creeks. I like to put my boat in the middle of the creek and then cast a spinner bait to the bank of the creek slow rolling the bait over stumps, logs and any kind of a lay down in 3 to 8 feet of water. In Texas the Fall usually is a dry period and most of the lakes are 2 to 3 feet below normal pool. This means that you have to use your electronics to find the bait fish which have moved to the creeks and brought their friends with them—the bass. I use this very same pattern to find and locate the bass in dead of winter except I change from a spinner bait to a black & blue 3/8 oz jig with a pork trailer. The bass are not the only fish that migrate to the creeks in the Fall as this is a great time to catch crappie in shallow water. I have several brush piles in 15 to 20 feet of water in Cedar Creek Lake. Well, the crappie left my piles around the first of October and are now around boat docks that have brush in 4 to 8 feet of water. I personally don’t enjoy fishing boat houses but they are an excellent place to catch blacks in the Fall or really most of the year if you enjoy fishing these structures. You need to be fairly proficient in casting up under the docks, especially in the summer when the sun is bright and the bass seek the shade. This concludes this week’s tips. There won’t be a blog post or e-mail next week as I am going to Lake El Salto and Lake Comedero in Mexico. Denny Brauer takes a group of friends to Salto every year in October and they just left after having great fishing. They had many bass over 10 lb. and I really need some of that action! Good luck with your fishing and wear that lifejacket! There’s always more to learn about fishing!